Shiv Sena’s Kerala unit has called for a hartal on Monday in protest against the recent Supreme Court verdict lifting the ban on women between the ages 10 and 50 entering Hindu pilgrim shrine, Sabarimala. Hospitals and other emergency services have been excluded from the hartal. 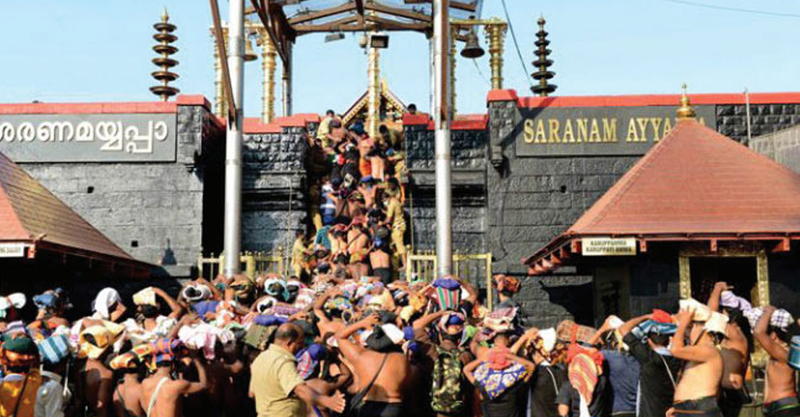 Reversing the Kerala shrine’s tradition of banning girls and women of menstruating age10-50 years from entering Sabarimala temple, The Supreme Court on Friday allowed women of all ages the right to enter the temple. Pointing women and men are equal, the SC observed that physiological and biological factors can’t be given legitimacy if they don’t pass the muster of constitutionality. The hartal will be held from 6 am to 6 pm on October 1. While the government has welcomed the SC verdict, hailing it as a victory for women’s rights, Ayyappa Dharma Sena, which is against the order is planning to file a review petition against the verdict.